St. John’s, NL - CoLab Software is pleased to announce the closing of a $600,000 CAD pre-seed financing round involving Pelorus Venture, Killick Capital, and Panache Ventures. The financing follows a successful Early Adopter Program that gained traction with engineering teams across North America. With the funding secured, the company plans to quickly grow the team in order to launch a full-scale solution. For Canada’s most active seed stage VC fund, Panache Ventures, their investment in CoLab will be the first in a Newfoundland and Labrador company. “CoLab built a strong team that has iterated quickly to create a solution that truly solves an industry problem,” says David Dufresne, Partner at Panache. 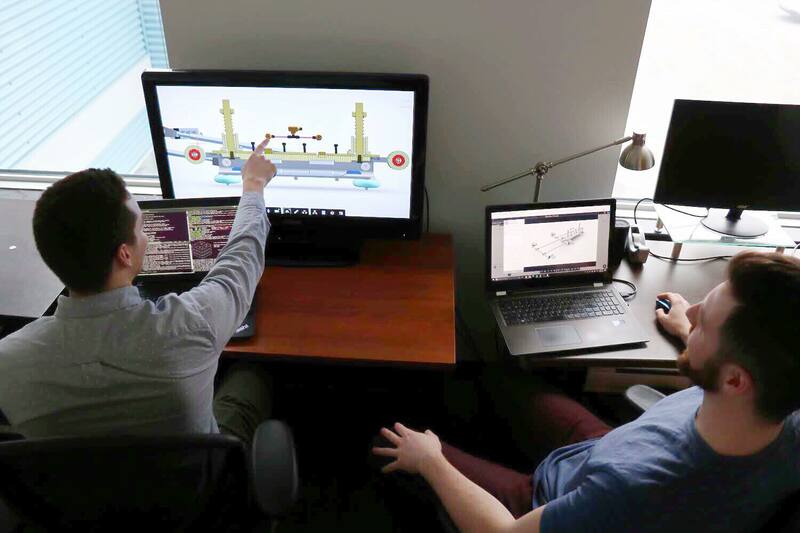 CoLab Software has developed a cloud-based issue and design management platform that allows innovative design teams to view 3D files, gather feedback from stakeholders, track issues, and manage projects in a shared cloud environment. The platform has been created specifically for the mechanical systems and product design market with the goal of significantly reducing the near 20% of project time wasted on poor communication during the design lifecycle. “Our goal is to empower engineering teams by eliminating the burden of miscommunication and manual completion of tedious tasks, such as consolidating actions and issues in spreadsheets, progress reporting and quality assurance,” says Adam Keating, CEO and Co-Founder at CoLab Software. Keating and Co-Founder/CTO Jeremy Andrews started the company in 2017 after successfully leading the Paradigm Hyperloop team to a second place international finish at the SpaceX Hyperloop Competition. In September 2017, the company hired its first employee and is now a team of nine with plans to grow the sales/marketing and development teams in the coming months. CoLab Software plans to launch a fully featured enterprise product in Q1 of 2019, with an early release scheduled next month on www.colabsoftware.com. It has been one full year since we started building Gradient, so we figured it was the perfect time to thank some of the people and companies that helped us get where we are today.